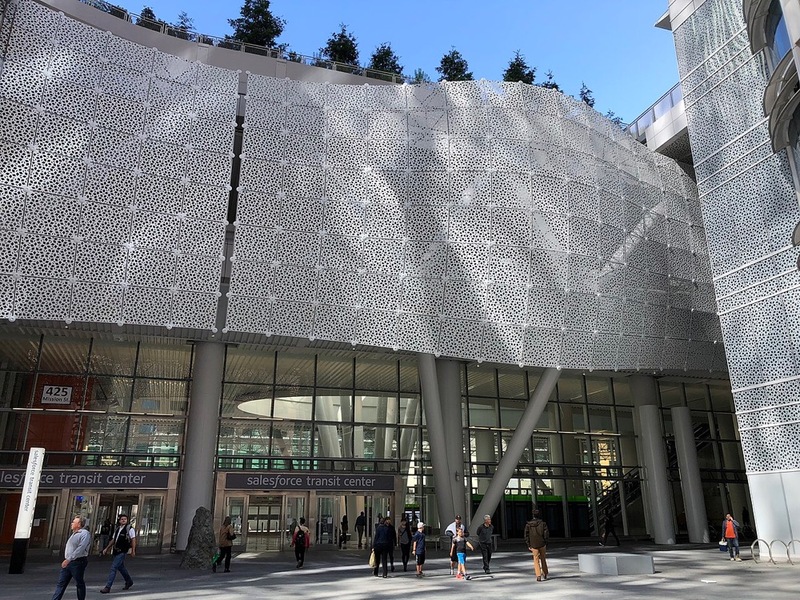 The Transbay Joint Powers Authority (TJPA) board of directors has called for a complete structural evaluation of the Pelli Clarke Pelli–designed Transbay Transit Center in San Francisco after installation crews discovered failing steel structural beams there in September. Now, over a month later, the transit center has been closed for longer than it was open as crews work to discover what went wrong. This week, representatives from TJPA, structural engineer Thornton Tomasetti, contractor Webcor/Obayashi Joint Venture, steel fabricator Herrick Corporation, and material supplier ArcelorMittal are all convening in New York to study material samples that were removed from the failing girders for further analysis. Engineering News Record reported that crews discovered bottom-flange cracks near the midpoint of one of the eight-foot-deep shop-welded girders. A second, more serious fracture was discovered running the entirety of a flange on the second beam. The two beams run parallel to one another over an 80-foot span running over Fremont Street. At a recent meeting, the TJPA board called for a complete structural evaluation of the 1.2 million-square-foot transit center in order to inspire public confidence in the structure’s safety and design. Ultimately, however, TJPA officials currently have no idea why the beams failed and because the fissures were discovered by accident, it is unknown if other areas are prone to fail, as well. The structural review team will now work to understand what happened before making design recommendations for how to fix the problem. Once a consensus is reached regarding on the cause of the girder failures, engineers will design a permanent fix that will also be peer reviewed to ensure its safety, Engineering News Record reported. TJPA projects that repairs will begin in December and take several months to complete.